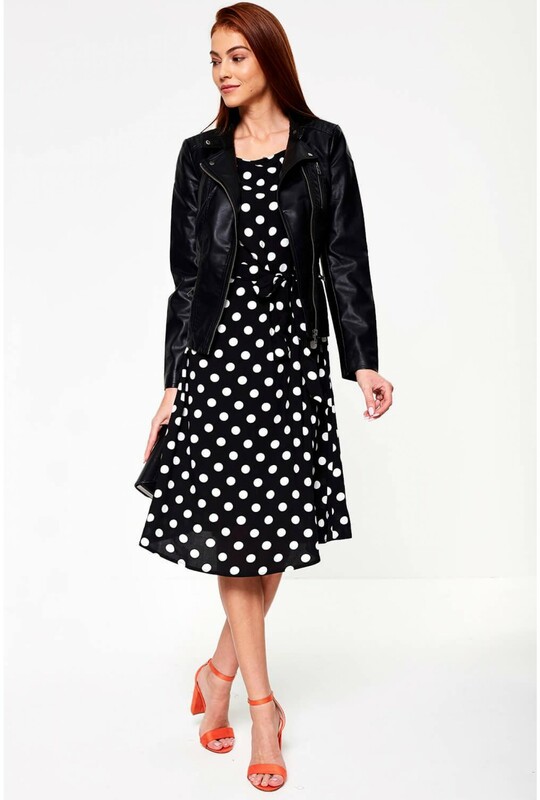 This lightweight polka dot dress is the perfect piece to elevate your wardrobe lineup. 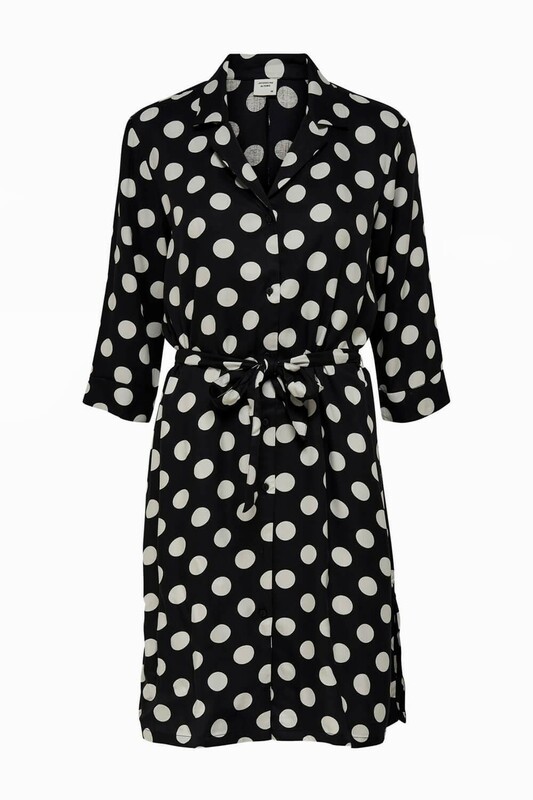 Featuring an all over white polka dot design and a self tie-waist belt to cinch in your waist. A versatile piece, works equally well with sleek court heels or trainers.